I’ve always worked in the environmental sector. I used to work as a landscape designer on various projects from new gardens and parks to large housing schemes. It’s a great profession but my real interest was always in conservation and in trying to restore or create new habitats. When I heard about Natural England’s apprenticeship scheme it was great timing for me - I’d been thinking about a career change for a while but had been keen to find something more vocational. The scheme offers a great balance between practical conservation work and field ecology, as well as the opportunity to work with lots of different people across the organisation. My role involved an 18 month practical work placement out on the East Sussex nature reserves shadowing the reserve managers. On the placement I also worked towards a Work Based Diploma. We had a great line manager in Caroline Cavill who made sure all the trainees got together every now and then to share our experiences. It was always reassuring to see other people in the same boat. I got to do loads of great things but my favourite days were those spent out in the woods, coppicing and creating new rides and glades. Apart from getting to use a chainsaw (which is a lot of fun) it was great to stand back at the end of a day, completely exhausted, and actually see the difference you have made. Hopefully I’ll return to see some of these sites next year full of spring wildflowers and butterflies. I also really enjoyed a lot of the field ecology work and learning about lots of different plants and insects. The placement was really great on training, not just the practical reserve stuff (4X4, Chainsaw, First Aid), but also all of the great ecology courses I was able to go on. Thankfully I gained a permanent role with Natural England soon after completing my apprenticeship. I didn’t expect the opportunity to come along so soon so it came as a very nice surprise. What was especially great though was the National Natural Reserve where I got my role - I had spent part of my traineeship at Kingley Vale, so I knew what a magical place it is and also that it had two of my favourite habitats: woodland and chalk grassland. In some ways the differences between my old life and my new life are massive and others are surprisingly similar. I still spend a fair bit of time in the office and attending various meetings. However the big difference is when I do step outside, I get to work in an incredible landscape doing work that I really enjoy and value. I also love the unpredictability of it all - the weather, the chance wildlife encounters, and the random stuff that just seems to happen. A few weeks ago I was sitting out in the sunshine with the bomb squad preparing to blow up a WW2 mortar that someone had found on the reserve! To anyone thinking of following their dream I’d say go for it, you’ve nothing to lose. And a big thank you to those who made it possible - my Sussex Downs Team who have been really helpful and supportive along the way, especially Malcolm Emery who has been a great teacher and incredibly patient with both me and my fellow apprentice Kate. 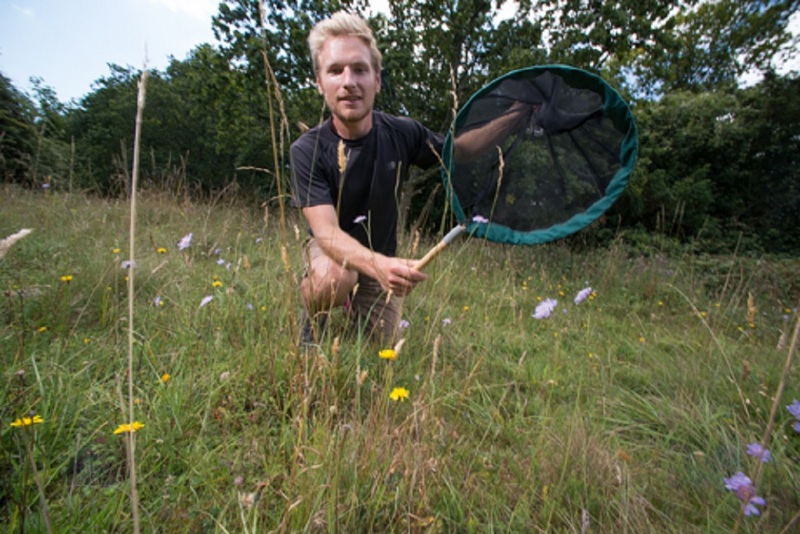 Steve Walker is a former Natural England apprentice and is now the Reserve Manager on Kingley Vale National Nature Reserve. Natural England has announced it is doubling its apprenticeships. For more information on how to apply, see government apprenticeships. Further opportunities are advertised on Civil Service Jobs.